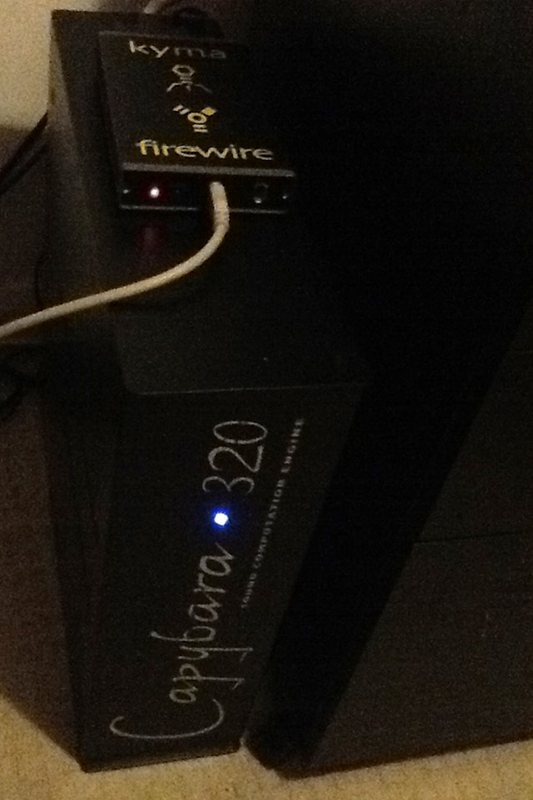 I picked up an old unexpanded Capybara 320. I've been interested in checking this out for years. 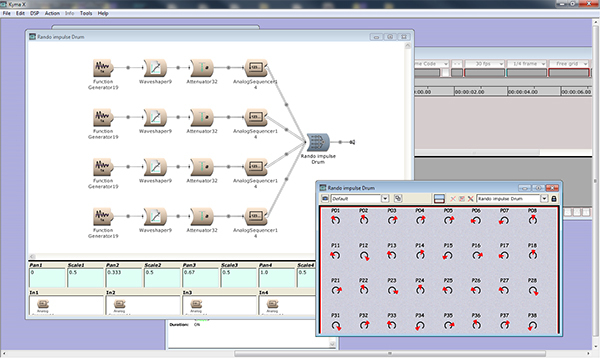 It's a sound design system based on visual programming (Smalltalk under the bonnet), kind of like Max or Reaktor, but which only runs on dedicated hardware. Expensive hardware. The current range starts at around $3K for a "Paca", rising to nearly $7K for a "Wormhole". The Wormhole is described as having the power of "60 capstones", a capstone being defined as the power of a Capybara 320. So...yeah...it's just a little Kyma system. But I like it. I'm aware that BobTheDog is a bit of an expert with this. It's gonna take me a while to do anything sensible with it, but it's fun running through the demos. Kyma can be a bit of a mystery, since people that have them tend to extol their virtues, and you can read that they've been used on films like Finding Nemo and Wall-E. But if you try to look for examples, you mostly find folks peering at screens with random burbling and warbling noises in the background. Welcome to the Kyma community! We invite you to call us or send us email any time — whether you have a question or you find something that doesn't seem to be working the way you'd expect, or if you have some upcoming projects where you're going to be using Kyma — we always enjoy hearing from you! ...etc., for a product that launched over 20 years ago and is long since discontinued, replaced by different hardware. It makes sense for them to keep customers on board, but it's an attitude you rarely find. Usually it's just, we don't make those any more, forget it. So, kudos to Symbolic Sound, and long may the warbling continue. I think you might be over-egging my abilities with the "expert" tag, I'm still a positive beginner here. I don't really get enough time to play with mine, I need to retire and put some proper time into it! It is a nice gentle introduction to Kyma and goes over the main modules, I wish it had been available when I got my system. Aw you must be a person that outbid me.. How is Capybara doing? Is it good enough to do experiments without expansion boards? How is Tau editor working with this limited power? If you ever decide to sell it let me know.